Have you ever thought of what makes each season or each town unique? Autumn is a great season of change. School starts up again, the blistering heat of summer fades, cheers from the football game can be heard, the leaves change color and above all it’s a great time reconnecting with friends and family at unique small town events. 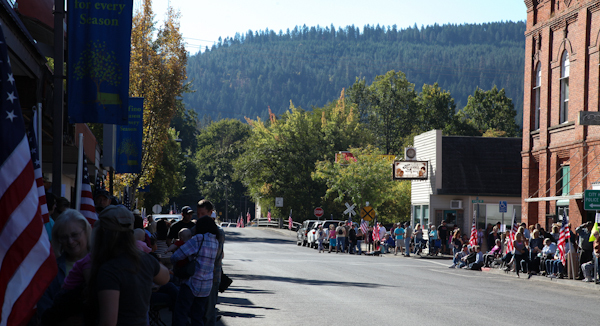 Here in our hometown of Orofino, Idaho one of the main festivities in September is Lumberjack Days. Long before wearing flannels the trendy thing to do, the lumberjacks were rocking them here. Lumberjack Days started in 1947 as a way to improve the county fair. I’m sure there’s way more history than that but 59 years later it’s still going strong. The carnival comes to town, the parades begin on Friday, there is activities all throughout Saturday and Sunday including all the 4-H kids bringing their animals to the barn, like any county fair. It seems to be a “family reunion” for the whole town, catching up with old friends and family. 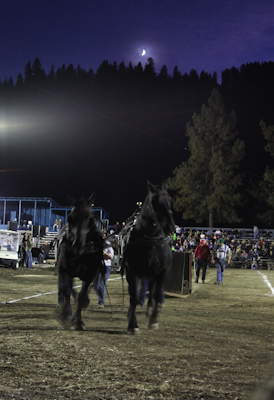 On Saturday night is when they have horse pull competition where a team of 2 draft horses, will tow a sled of weighs up to 6,000 pounds. It’s impressive! On Sunday the log show starts and it includes several different activities. Between when the professionals do their competition there is time for the youth to practice new log cuttings skills, working as teams, even the OCI royalty of Orofino got to practice team sawing in their crowns and white pants. I think that’s a great picture of the heart of these small town events. This year was the first year I’ve been back for this great weekend in awhile, so I saw everything from a fresh perspective. It’s amazing the kinds of experiences are available right here in our own backyard. What is just around the corner where you live? Get out and explore! 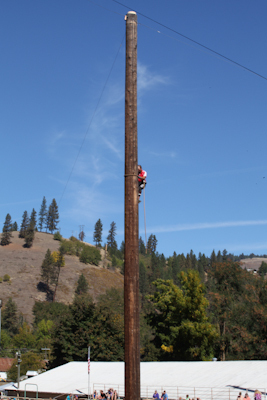 And if you ever find yourself in Idaho in September looking for a unique experience, don’t miss out on the Lumberjack Days! Posted in Outdoor Sports, Travel.